We’ve written here about school starting dates, and there’s lots more on that to come. But we received an interesting email about a problem caused by the same issue that comes at the other end of school. “My work in education (now retired) brought me into conflict with the Education department and schools regarding a child’s leaving date. There is only one start date but two leaving dates. Any child born after the 1st October to the end of February is obliged to remain at school until the ‘winter leaving date’, about the 21st December. This is a serious discrimination against some youngsters. This is fine for most academically minded students who will be staying on for 5th and maybe 6th year but for others, who see their pals leave on 31st May, this is a six month sentence. Most schools do not want these youngsters and they are often viewed as a nuisance. Some are chased up for non-attendance (this is where I came in) while others are told not to come back. I have seen me getting a youngster back to school to be told on the same day (because of their behaviour) not to darken the school door again. Of course this was never an official exclusion and neither the parent nor child would ever complain. Some schools would have an imaginary class where the Xmas leavers would be marked ‘in attendance’ but in fact never attended because there was no class for them. This looked impressive on the school’s truancy rates. “I had to deal with children and parents who were badly affected by this ridiculous ruling and who were under threat of prosecution. On the other hand there was a lot of bending the rules by those in authority. There are strict rules about work experience and exclusions which are flagrantly disregarded both then and probably now. It should be said, however, that some schools dealt with Xmas leavers with compassion and understanding and the local college and others were starting to come on board and offer youngsters greater choice. At the end of the day it is still discrimination. If Joe’s birthday is on 30 September he can leave school on 31 May. Whereas Jim born on 1st October is legally required to stay at school until 21st December (nearly seven months of a difference). There is a simple solution. One of the two parents who write this blog is a secondary school teacher, and has had pupils in her class in exactly this position. They knew they were going to leave and weren’t going to be sitting the exam but there they were, in a Higher class, just marking time, and couldn’t be persuaded to try for the exam. This is bad for them, bad for their fellow pupils, bad for the teacher and bad for the school. This is one of those subjects in which you could do something really useful with early school leavers – they could be helped with some meaningful life skills. But put them in that Higher class and all a teacher can think about is getting them to sit still and keep quiet. Creating a new curriculum based on a new philosophy is hard. Developing the teachers to teach it is hard. Designing exams to measure pupil achievement against it is hard. Picking a date on which pupils can leave school, or giving them something constructive to do before they leave? That’s easy. 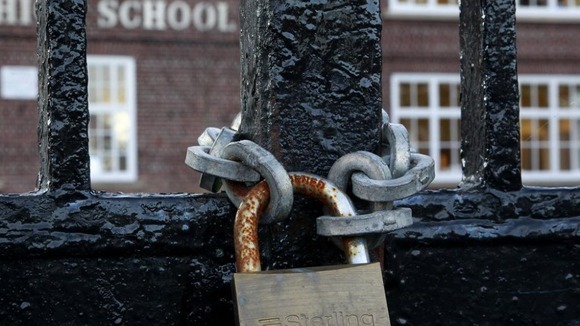 This is an issue that affects every secondary school in the country, every year. At some point could someone in power please just fix it? This entry was posted in Uncategorized on March 4, 2014 by takingparentsseriously. I’m a sharp-elbowed parent. I know how to use my elbows to get what I want for my children, and I have the determination to use them. If I wanted to, I could use my elbows to get my kids ahead of your kids. But why on earth would I want to do that? My kids are already getting benefits not open to lots of others, many of which I didn’t have as a child. Our money, time and energy go into helping them in lots of ways – maths, music, drama, sports, dancing, activity weeks, literacy – all the usual middle-class gubbins. As David Laws says, obviously I want my children to succeed in life. But not at the expense of someone else’s kids. Not through unfair advantages. If my kids are going to succeed it’s not going to be because I elbowed someone else’s kids out of the way. It’s not just that it’s unethical, it’s also counter-productive. My children are going to enjoy school a lot more, and get more from it, if the pupils from the more difficult backgrounds and with less capable parents are getting what they need to be happy and successful too. If you want a selfish argument for altruism, there it is. How does it benefit the successful if the unsuccessful are marginalised, scorned and made to feel inferior? All too often, schools roll over the top of parents who don’t speak like the teachers, don’t know the jargon, don’t have the skills and the confidence to stand up for their children. Teachers and public officials tend to come from a pretty narrow background, and they usually did well at school themselves. It’s understandable that they will find it easier to engage with the parents with whom they identify. Unfortunately though, that can mean that the children of those parents end up getting preferential treatment in comparison with the kids with parents who don’t have that background. Birth is a lottery. Children aren’t allocated to their parents on the basis of merit. It’s my job to raise my children as well as I can, but that doesn’t mean my child is inherently more important than your child. If we see society as a ladder to be climbed, in which it is in our interests to stamp on the fingers of others so that our own children may benefit, then we won’t get a society in which those with the greatest talents and attributes have the most success; we’ll end up with a society in which the children of the best climbers are at the top, but beneath them will be a long line of people with sore fingers and bitter resentment. And in a society like that, how will those at the top treat those below them? 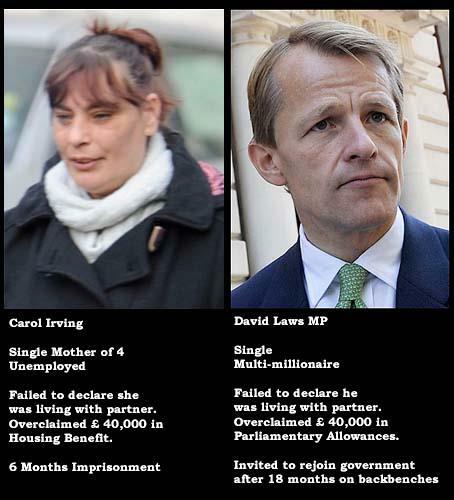 If I was being harsh to David Laws I’d say that I’m not surprised that this sharp-elbowed MP who stole £40,000 from all of us – something that arguably should have seen him in prison – is a big believer in getting what you can for you and yours. To be fair to him though, his point was that schools and public authorities should even up the score by helping the children of blunt-elbowed parents rather than standing in the way of the sharp-elbowed. Fair enough. But I wish he’d had the vision to go further and say that the sharp-elbowed parents should use their elbows for the benefit of all children and not just their own. Because when parents stand together to save a special school or prevent the closure of their much-loved local school or to transform the school grounds, they can achieve anything: for the good of everyone’s children. This entry was posted in Uncategorized and tagged inequality, parents, sharp elbows on February 27, 2014 by takingparentsseriously. This blog article is taken from the Save Pinewood School facebook page, with permission. Pinewood School is a special school for children with Additional Support Needs. 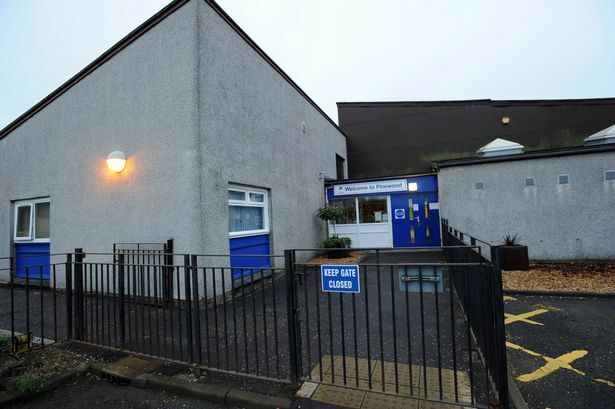 West Lothian Council has angered parents by trying to make changes without proper consultation or taking their wishes into account. The parents’ group have won major concessions, but obviously the fight for adequate provision goes on. Do you or a family member/friend have a child who’s needs are likely to require a special needs school placement starting school this August? We need to spread awareness of this change to new parents coming into the system, and the potential issues they may face because of it. They need I be made fully aware of their choices for their children. There will be one 8 place P1 class starting in Pinewood in August 2014. The other 16 are to be placed in Polkemmet, which as yet has no appropriate facilities for such children. WLC has also decided this is NOT an annex – these 16 children will NOT be Pinewood children. We need to make sure that this is not a repeat of what my son & the other children placed there in 2008 experienced when he attended Polkemmet (which WAS then classed as an Annex of Pinewood school) It was hurriedly arranged by WLC as Pinewood was full then too. A string of fairy lights and a furry blanket in a corner is NOT what our children need. This was and is not ‘Provision for sensory needs/input.’ The whole set up was grossly inadequate for our children. It CANNOT be allowed to happen again. So – new parents need to insist that these things are in place BEFORE August, AND ask to visit and SEE what is there. I advise you NOT to accept any false promises that ‘it will all be there by the time the children start in August’. It wasn’t for my son (and believe me, – I had assurances from many council officers from the education dept that it WOULD be). As this is a ‘temporary’ arrangement, for 1 year, until the new consultations at the end of the year are concluded, WLC will want to spend as little on it as they can get away with. Our children NEED and deserve decent facilities and opportunities. EARLY INTERVENTION DOES NOT COME CHEAP. This whole mess is due to WLC’s failings. We need to ensure that the facilities these children need ARE properly funded and put in place this time. This entry was posted in Uncategorized and tagged Additional Support Needs, Pinewood, West Lothian Council on February 26, 2014 by takingparentsseriously. Thought I’d blog about something that just happened at the school. I dropped Andrew off at the nursery this morning, for the first time since he was allowed back. On the way in I bumped into a mum of another P1 boy and told her that Andrew was back at nursery as we’d taken him out of school. Andrew’s former classmates haven’t been told anything about where he went – we’ve emailed the headteacher about this twice and not even had a courtesy reply – so the only way other children and parents can know is if we tell them. Her wee boy is about the same age as Andrew so our discussion started in the playground, continued into the cloakroom, and back out into the playground again. I just stuck to the facts. Someone grassed me up to the nursery teacher, who grassed me up to the headteacher, who accosted me at the far end of the playground as I was making my way out. She challenged me and said that she heard I’d been talking about matters in the nursery lobby. I’m a teacher myself and I know a scolding when I see one. I didn’t want a confrontation because I’m still angry about being misled by her twice (inadvertently or otherwise), plus I’m off work with a bad cold right now, so I said she should speak to my husband (and co-blogger). I really couldn’t find all the diplomacy skills required for facing a scolding for talking to other parents about a thing that actually happened. I must confess I got a bit sarcastic. I asked her if I was doing something illegal or if she disapproves of my morality. I couldn’t stop myself from questioning hers as she walked off. I wonder how that conversation played out before in her head. Parents are most likely to talk to each other when they meet at the school. This interaction is the heart of the school community. I don’t gossip, and I don’t spread rumours; I talk with other parents about things that are of common interest. Just because we’re on school property, it doesn’t give them a right to censor our discussions. The school belongs to us all. This entry was posted in Uncategorized on February 25, 2014 by takingparentsseriously. Were we lied to, or were we given bad facts? And what’s the difference anyway? On Friday we received an interesting response to a freedom of information request. As you’ll know if you know us or have read the About section, through the first half of 2013 we had increasing concerns that our December-born son Andrew wouldn’t be ready for school. He was then four years old. In August when we first spoke to the school about deferral, we were told that the nursery was full, so if he was deferred, he’d have to go somewhere else. We had no reason to question this at the time. I’m not going to say who told us that. I’m not even going to say if they are male or female. Let’s just call that person Kant. The only reason – literally, the only reason – we allowed Andrew to start school in August was because we felt that there were greater risks in him going to an entirely new childcare environment than in starting school with his cohort. It was a marginal decision. We watched his progress and asked others to do the same, and by November we were sure he shouldn’t be in school and went back to them about deferral. At the November meeting Kant again told us that nursery was full. Not “I think it might be full”, not “I’d need to check, but…” Just; it’s full. Only this time I’d done my homework and had anonymously checked availability with the council’s pupil placement team. They had told me that there were two afternoon places. When I told Kant that, the response was surprise. Kant was in a position to know about nursery vacancies, but if Kant hadn’t, it could have been checked with one email or phone call. This made me wonder about what Kant had said in August. So under the Freedom of Information Act I asked the council about capacity, enrolment and availability in the school nursery back then. The answer, which we received on Friday, was that were five places; one morning and four afternoon. So the question is this; did Kant lie to our faces? Or did Kant say something important as fact without having checked first? Did Kant choose not to check so that it wouldn’t be a lie? And does it really make much difference which of these is true? This entry was posted in Uncategorized and tagged deferral, freedom of information, Kant, nursery on February 22, 2014 by takingparentsseriously. At half past eight on the evening of Wednesday 19th February, the Scottish Parliament passed The Children and Young People (Scotland) Bill by 103 votes to nil, with 15 abstentions, and it will shortly become law. One of the many things it includes is a right to 600 hours of free nursery provision each year for 3 and 4 year olds. Great, so that’s 1,200 hours of high-quality, teacher-led, nursery provision to set my little darlings up for school then? Because, like school starting age, it’s subject to the birth-month lottery. Here are some numbers. 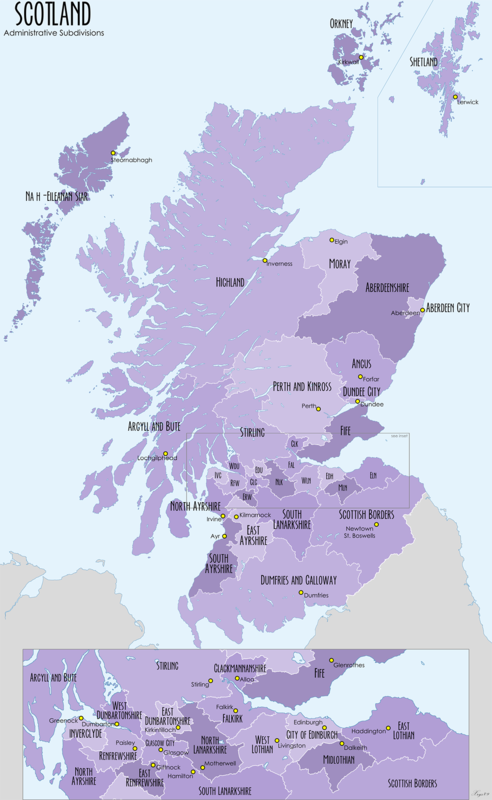 In a typical Scottish council – let’s call it Livingstonshire – there are 81 days in the autumn term, 63 days in the winter term and 46 days in the spring term. That gives a school year of 190 days. 600 hours into 190 days gives you about 3 hours and 10 minutes of free nursery provision per day. That’s great, and a significant increase on what went before. But your child has to fit in those nursery years between their third birthday and starting school, and for many that will be much less than two years. In that typical Scottish council children can start nursery at the start of the term following their third birthday if they were born January to August, or on their third birthday, if they were born September to December. 1. A child born on 1 March 2011 will be able to start nursery in August 2014, aged 3 years and 5 months. They will get two full years of nursery before starting school aged 5 years and 5 months. 2. A child born on 25 December 2011 (hallelujah) will be able to start nursery in January 2015, aged 3 years and a couple of weeks. They will get one year and two terms in nursery before starting school aged 4 years and 7 months. 3. A child born on 28 February 2012 will be able to start nursery after Easter in 2015, aged 3 years and a month or two. They will get one year and one term in nursery before starting school aged 4 years and 5 months. HOWEVER… parents of children born in January and February have an automatic right to defer their child, and get an additional funded year in nursery. * Children born in January and February have a right to deferral and another funded year in nursery. So the real issue is about those children born September to December. Their parents can apply for an additional year in nursery, but this is at the council’s discretion and there’s been firm movement against deferrals recently among local authorities. There’s a question of how fair all of this is on the children. There’s evidence from England that says the youngest children in each year group have lower exam results, and plenty of other evidence finding similarly lower outcomes on other measures. Does it make this situation worse, or not make any difference, that these children will now start school with hundreds of hours less nursery care? Reform Scotland have written about this and suggested that the solution is to provide two full years to each child, starting from two years before the date they would normally start school. Reform Scotland’s figures are somewhat inaccurate, because they make a mistake in assuming all three terms in the year are equal, when in fact the big differences in them actually make the differences in entitlement even worse. You have to come to the Taking Parents Serious blog for that sort of attention to detail. But they are right to talk of “birthday discrimination”. And in putting a monetary value on the differences in childcare, Reform Scotland rather miss the point. The parents don’t have more unfunded childcare because of these differences; all parents will still have three years of unfunded childcare. The differences are manifested in the children going to school younger. Liz Smith MSP tabled an amendment to implement Reform Scotland’s suggestion, which was defeated by 65 votes to 52. You can read the debate here – do a search (Ctrl+F) for “amendment 51” to find the relevant part. Are they right to suggest the solution is that all children can start nursery in the August two years before they expect to start school though? This would lead to children starting council nurseries aged from just 2 years and 5 months, and would change the nature of pre-school education. Children at that age are toddlers with higher needs than local authority nurseries are typically geared up to deliver. Certainly, there would be a huge difference between the youngest children and the oldest, who would start aged 3 years and 5 months. Also, those who get an additional year of free nursery education – which is a right for children born in January and February – would end up getting 1,800 hours of free nursery care. That’s both expensive and of questionable fairness. There are many issues to consider, and the solutions aren’t simple. What’s clear though is that the 600 hours policy will be arbitrarily beneficial to parents and children, and that doesn’t feel right. During the debate the Minister said that some of this could be addressed in secondary legislation, so this blog will be watching closely to see what comes next. This entry was posted in Uncategorized on February 20, 2014 by takingparentsseriously.